I am working in the travel business and travel magazines, I have visited more than 35 countries, on my website you can find articles from my travel for promotion. 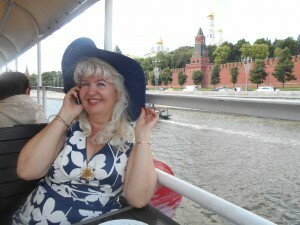 I am member of Guild of travel journalists , russian United Media Association. Journalist FIJET. My expert-opinions and standpoints are posted on specialized web-sites TripAdvisor, international magazine “Tourist”, e-magazine TouPressClub, hotelsinfoclub.ru, mice-professional.ru and others. On my site in Russian you can read about news on the world of tourism, about the best hotels, the best Thalasso & SPA resorts, cruises, cities worthy of attention for Russian tourists . 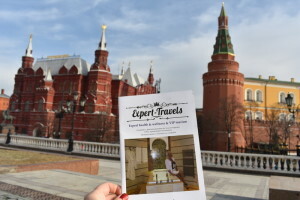 All my articles are accompanied with photos taken by me while traveling..My articles and photos were published in the magazine “Russian Travel & Culture Industry Magazine”, international magazine “Tourist” and e-magazine “TourPressClub”. I am engaged in several international projects, for the expansion of international relations, the promotion of business and the friendship of peoples through culture and travel. You can also advertise on my site about your hotel, thalassa & SPA centers, medicine and beauty services, excursions, vines, restaurants, about your brand, shop, e.t.c. 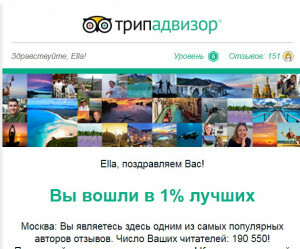 — Promotion of your company, hotels, medical centers, tourist regions in Russia. 1.. Placing information about your brand in the press and on the Internet. Involvement of information partners, PR support, copywriting, work with media and bloggers. 2..The organization presentations, seminars, press-cocktails, photo contests, photo exhibitions, PR-companies and any other events. Organization of the official opening of the event, attraction media, bloggers and guests of honor. 3.E- mailings with special offers for travel agencies, for journalists of glossy magazines and trade press. Interview for Doctor GEO & SPA. Luxury class available to everyone.